Swiss musician, born 16 August 1935 in Zürich, Switzerland. 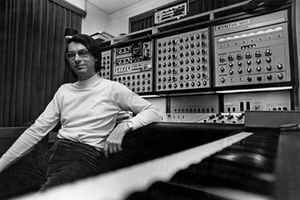 He is active in electronic music since 1965, mostly in film music, TV jingles etc. Concerts with interactive computer devices and multiple collaborations with various artists in the fields of jazz and electronic music. He is also running a studio in Zurich, Studio Für Elektronische Musik Spoerri. I love the work of bruno spoeri!! A Great Musician! !